The House will sit this week. 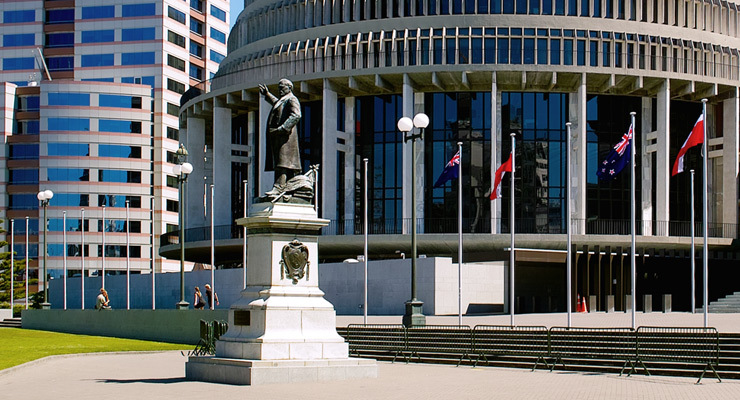 Select Committees released some Vote Estimates reports on Tertiary education, and Building and Housing. Written Questions covered: meetings and briefings relating to ITPs; Sri Lankan student visas; briefings on immigration; Limited Service Volunteers; and the impact of reduced post-study work rights. The Gazette noted a land acquisition. Relevance: medium relevance to construction trade educators. The lack of a 2018 Budget bid on construction training (see Vote Building and Housing report) seems silly, given the plans to boost housebuilding substantially, and the lack of demand elsewhere in tertiary education. It seems even more silly, when the Government wants to reduce migrant numbers overall, but is now loosening the criteria for construction workers. We reckon Chris Hipkins might have met with the TEU more in the last 8 months (at least 5 times) than Steven Joyce managed in about 6 years as Minister. That point came from the list of meetings Hipkins had had in relation to ITPs. The House did not meet last week, but will do so this week, although tertiary education matters are not on the Order Paper. The Education and Workforce Committee did not meet last week, but is scheduled to do so this week (the agenda has not yet been published). The Committee released a report on the 2018/19 Estimates for Vote Education, ERO and Tertiary Education. The 12-page report covered teacher supply (pp.7, 10-11), tertiary education (pp.8-9), Lincoln Uni/AgResearch facility (p.9), and the school leavers’ toolkit (p.9). The Economic Development, Science and Innovation Committee did not meet last week, but is scheduled to do so this week (but not on tertiary education matters). The Social Services and Community Committee released a report on 2018/19 Estimates for Vote Building and Housing on 11 July. The 8-page report covered training issues, noting that there had been no change in the numbers of people in construction trade training over the last year, and that there was no Budget bid to help increase trainee numbers. briefings received on ITPs from 29 Jun to 6 Jul (one on Unitec). how many Sri Lankan student visa applications were received, approved and declined that were related to a specific finance company (same answer give to all 3 questions – too much collation required). briefings received in Mar 2018 (21, including 1 on the review of the pathway student visa pilot, 1 on dependent children of international students, and 1 on post-study and in-study work rights). Louise Upston received answers from Carmel Sepuloni (Social Development) on briefings on Limited Service Volunteers (5 listed, including a Jun 2018 evaluation of the programme, and 2 more on funding). whether INZ is conducting a deeper investigation into possible Sri Lankan visa application fraud. Some land was acquired for university purposes, to the benefit of Auckland Uni. News Fri 21/12 – Taratahi Liquidation.